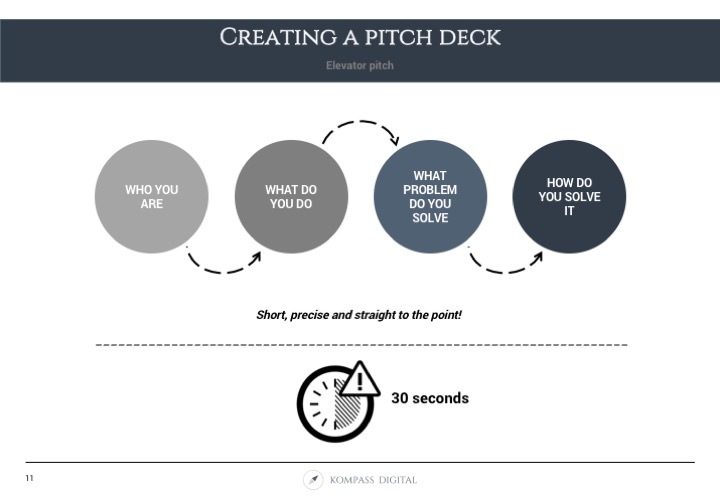 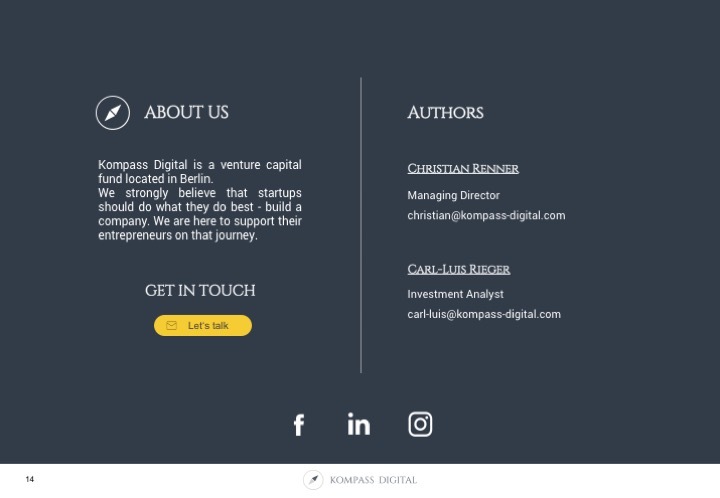 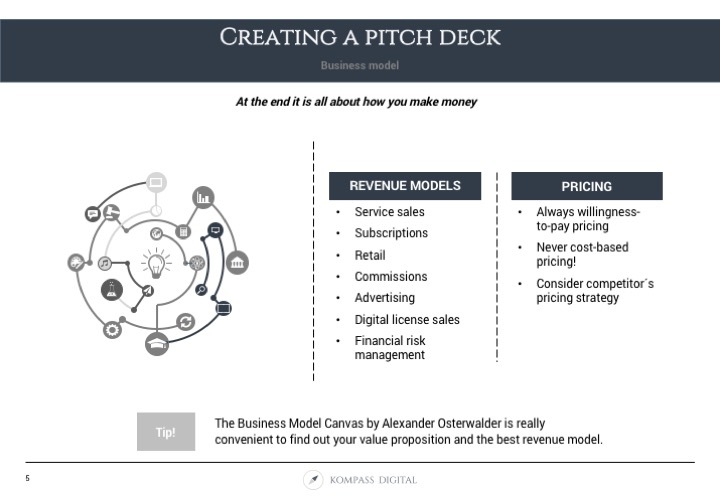 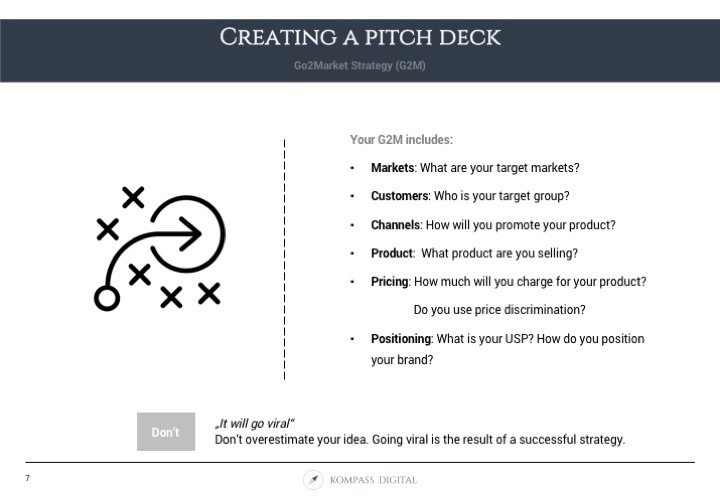 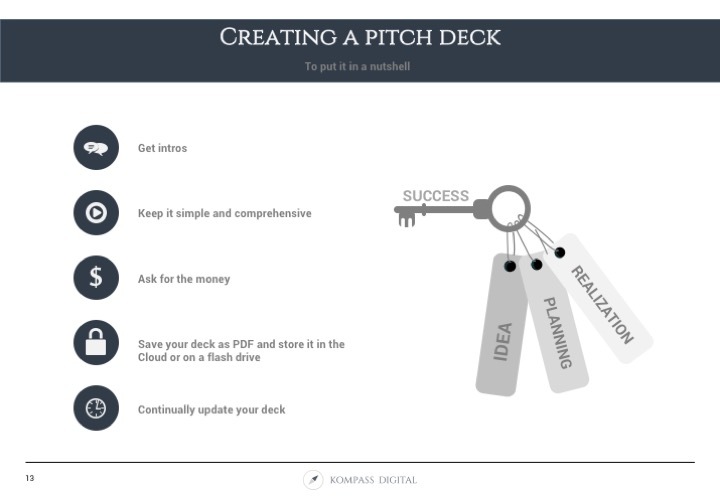 How to create a pitch deck? 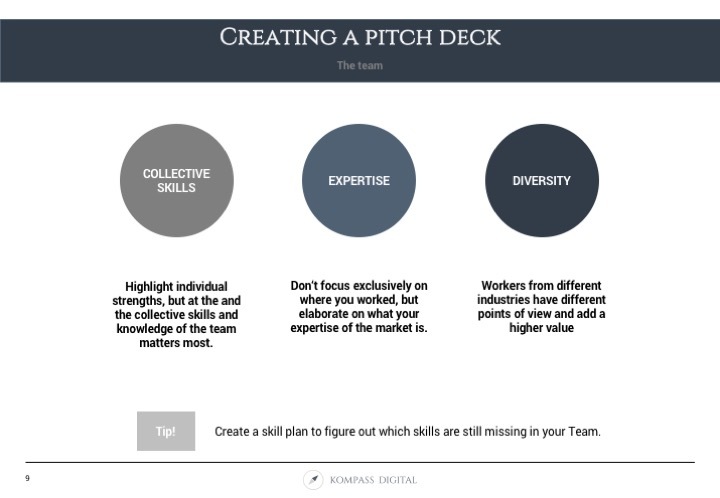 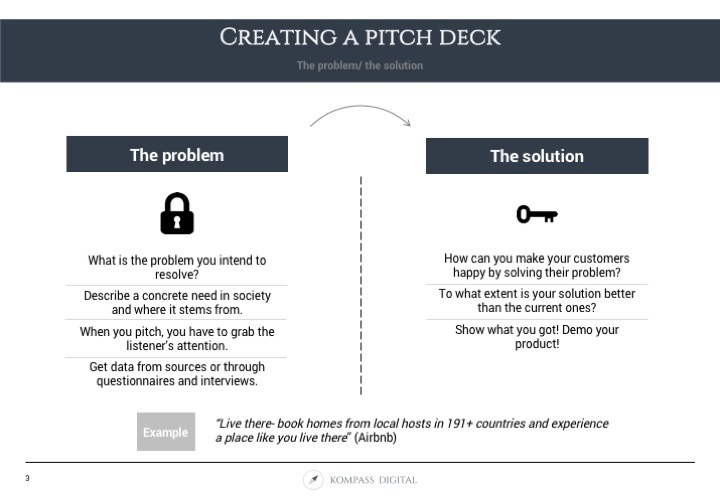 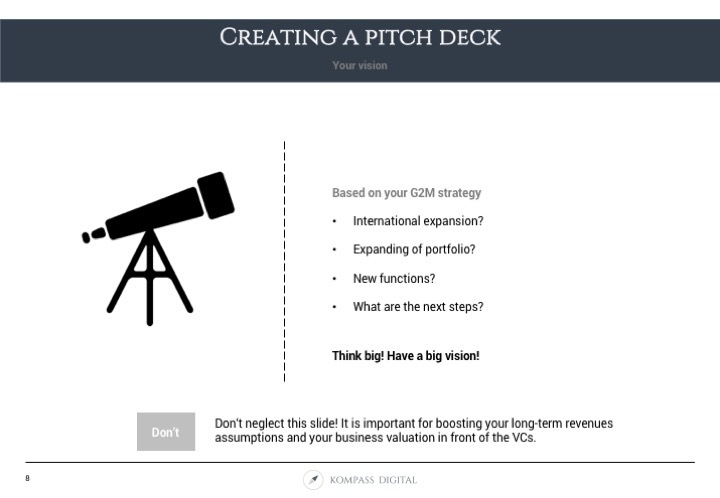 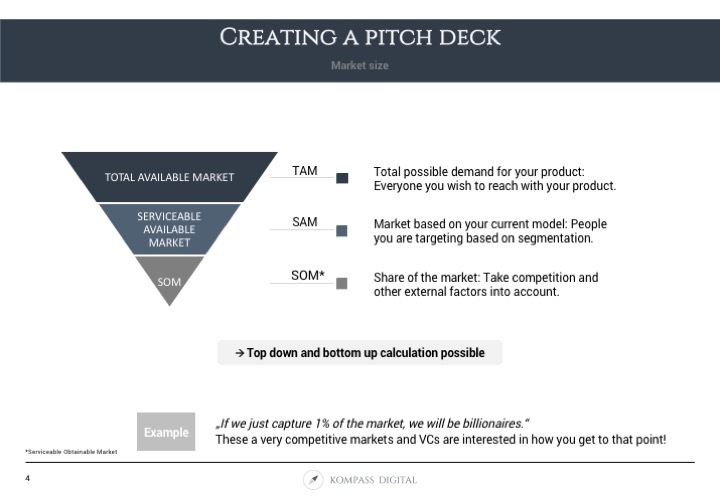 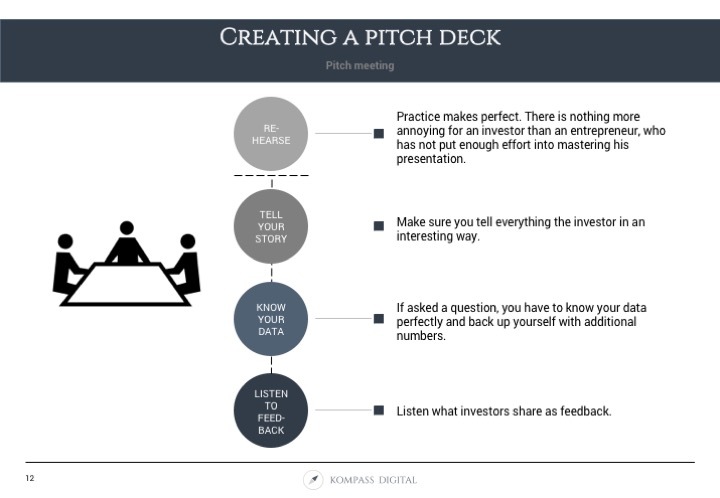 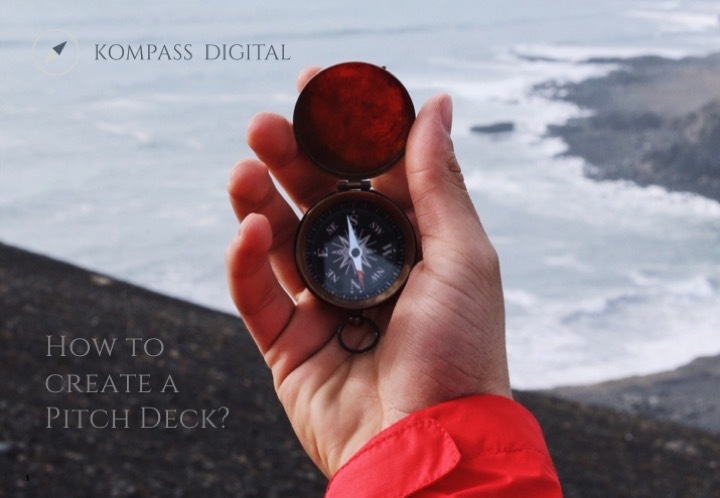 What is relevant in a pitch deck and what is not? 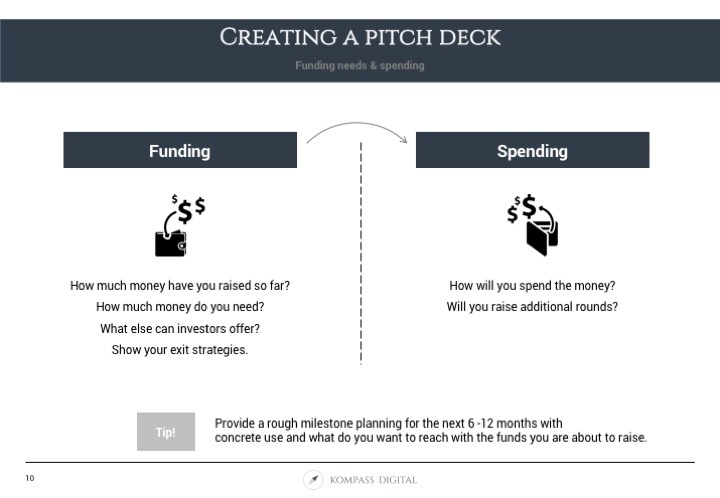 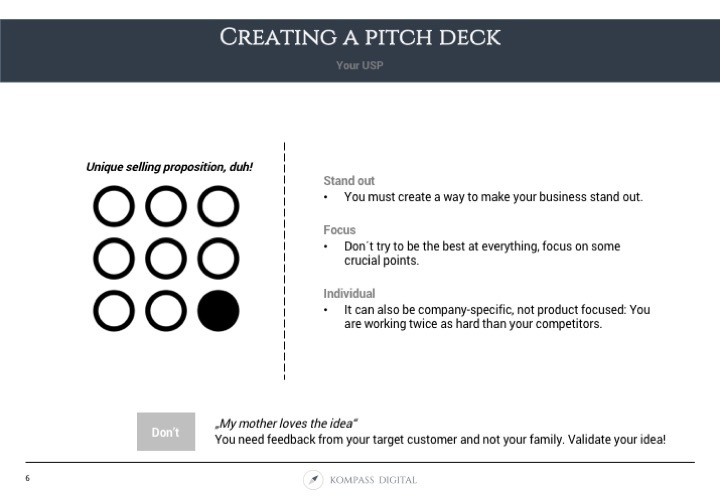 The structure, content and extent of a pitch deck form an essential part of the application process for your fundraising. 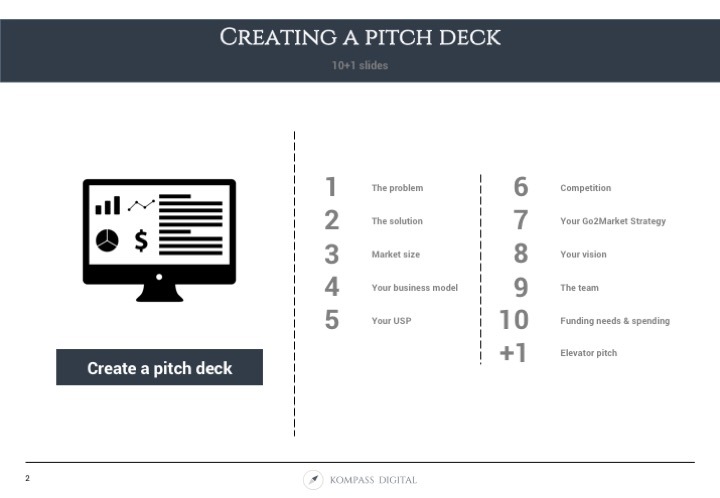 Have a look at the slides and boost your chances to get funded.